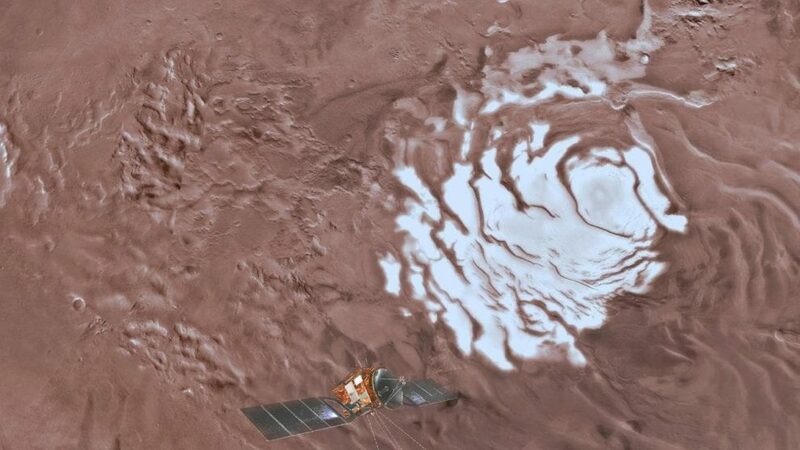 A huge buried lake of salty water appears to be hiding below the surface of Mars, raising the possibility of finding life on the red planet. The discovery, based on observations by a European spacecraft, generated excitement from experts. Water is essential to life as we know it, and scientists have long sought to prove that the liquid is present on Mars. The study, published on Wednesday in the journal Science and announced in Rome, does not determine how deep the reservoir actually is.